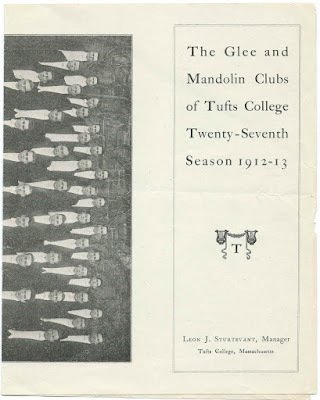 1912-1913 program of the 27th season of the Glee and Mandolin Clubs of Tufts College at Medford, Massachusetts. The manager was Leon J. Sturtevant. Comprised of one sheet of paper, approximately 13" by 8-1/4", and folded once, although it was probably designed to be folded more than once. 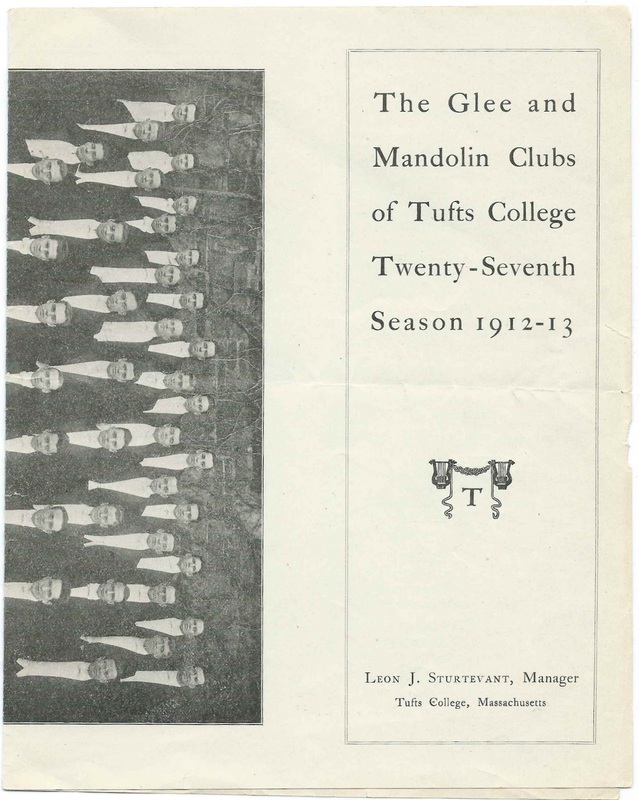 The historical information shown above notes that the first Tufts musical organization was formed in 1859. If you have stories to share on any of the people mentioned above, please leave a comment or contact me directly.